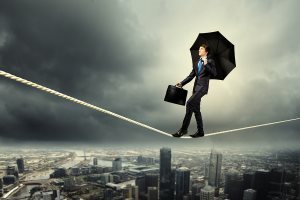 When are the High-Risk Times for Losing Talent? When we think about the war for talent, our first thought often relates to the external candidate marketplace. But, as competition becomes fiercer, a new battleground for talent is emerging, i.e. within your own business. It’s the in-house war for talent where employers fight to retain stars or re-energize fallen stars and prevent them from moving to the competition. Retaining or re-signing stars before they leave is like signing an external super star. And with 51 percent of executives surveyed by OI partners reporting higher turnover in 2013, the in-house talent war is set to intensify. Of course there are a range of talent engagement mechanisms that can help you retain talent, but I think one of the most important is timing. There are times in the year when talent is far more ready to leave (there are more pull and push factors in play), and by being aware of these high-risk times, you can pre-empt and focus your talent management initiatives for greater mitigating effect. So, what are these distinct times when you’re at the greatest risk of losing talent? I have identified three of the most high-risk times below. 1. Just after an influential person leaves. (This influential person is typically a manager or leader within a team, unit or business and the more senior and respected the leader, the bigger the impact.) When influential people leave it can destabilize a team, create uncertainty and make team members unsure about the future. This is one of the high-risk times when employees may start considering their options; for others it might be the final straw. Whatever the reason, employees are more likely start to look outside the business at other opportunities – and they will be more receptive to headhunters who will also start making increased inquiries once they know a team is unsettled. This is a crucial time to be deploying your re-engagement and retention initiatives. Many employers offer an annual bonus scheme as a retention device. It works because after about six months into the year, employees don’t want to leave as they will forfeit their bonus payment due at the end of the year – and it’s not easy to negotiate bonus reimbursement with a new employer. While this mechanism can help to retain employees, it does create a cyclical retention risk. For example, each year, for two or three months after bonuses are paid, employees are more at risk of leaving as they are usually prepared to cut their somewhat smaller losses and can offset any potential loss with a pay rise in a new role. The three-month period after annual bonuses is a crucial time to be engaging with employees to mitigate risk of leaving. Why not consider paying bonuses in late spring, preceding the period when the job market quietens and job opportunities disappear? There are several periods of the year when there is intensive hiring activity in the marketplace, meaning your business is at much more risk of losing employees to competitors. In fact, many career portals coach employees to target their job search around these periods to exploit the high demand, meaning they might be able to negotiate better deals. These intensive hiring periods as indicated by Monster.com are January/February time; late spring for hospitality, tourism and construction; and fourth quarter (September to October). So, make sure to schedule stay interviews and engagement initiatives around these periods to mitigate unwanted voluntary turnover. Of course, this is a very generalized look at periods of turnover risk and the picture may be slightly different in your business. So why not supplement this article by doing your own analysis of turnover in your business to see if you can spot any trends or points in time when risk of turnover is noticeably higher?